Regional airline Eastern Airways is targeting corporate customers such as international companies, sports teams, the music industry and private clients with a new range of private charter services from Bristol Airport. The airline, which has operated from the airport for eight years, is offering the premium services in the 29-50 passenger market to businesses and organisations needing flexible flights to UK and European destinations. Services range from the platinum premier level to gold and silver with cabin crew specifically trained in the hospitality sector with language options including English, French, Italian, Spanish, German and Polish. A new cabin crew uniform has been introduced for private charter services to differentiate them from Eastern Airways’ scheduled services. 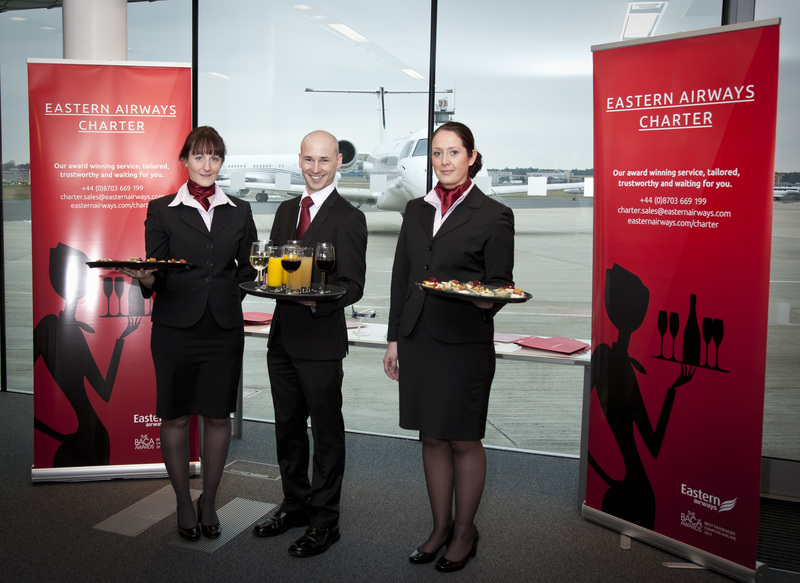 Onboard services, including food and drink, can be tailored to suit individual client’s needs. Commercial director Kay Ryan said: “We have significantly grown our charter business over the past two years and the launch of our new charter product further demonstrates our attention to detail and customised levels of service to meet the requirements of our clients. Humberside-based Eastern has for many years flown charter services for businesses in the oil and gas industry to site locations or connecting with offshore helicopters. The airline’s charter services uses three fast Embraer jets, which are heavily in demand, along with a 50-seater Saab 2000 turboprop which can operate to restricted short runways. Eastern, the UK’s second-largest regional airline, was recently named Best Passenger Charter Airline at the Baltic Air Charter Association (BACA) excellence awards. It operates daily scheduled services from Bristol to Leeds-Bradford and Aberdeen.